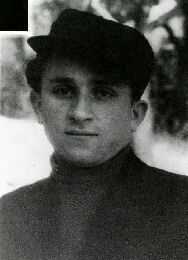 At the Auschwitz concentration camp Joe Rosenblum was also able to find work in the hospital area where Mengele worked. His job was to clean, whether it be Mengele's boots or the hospital floor. While working there, Joe was able to overhear conversations between Mengele and other doctors assigned to work with him. Joe understood German, but he never let on that he did for fear that he would be sent instantly to the gas chambers. Still, Mengele said, the Germans had some of the French and Italians on their side. ' We didn't realize the Jewish people were going to fight,' Mengele said, slowly, deliberately, without any passion. Then Mengele stood up and said something that made me want to grab his neck and crush his throat, to kick his balls until they were jelly, then stomp on his face. One of the doctors just shook his head, and Mengele proclaimed again that the Fatherland was working on the world's most destructive weapon, which would change everything overnight. The young ones just looked at him pityingly. They knew it was a lost cause. Then the talk ended. It was time for Mengele and his doctors to make their rounds, to see how quickly and efficiently Jews were being killed...."